In 1985, shortly after Sen. Bob Dole, R.-Kan., became majority leader of the upper body, a little creep called Newt Gingrich publicly branded him "the tax collector for the welfare state." Dole had previously been chairman of the finance committee, in which capacity he had overseen a tax cut in 1981 and a tax increase in 1982. In those days Republicans were allowed to be in favor of tax increases if circumstances warranted it, as they certainly did in 1982. President Ronald Reagan, before whose graven image every contemporary conservative must genuflect, signed the bill into law. It wasn't that big a deal, but Rep. Newt Gingrich, R.-Ga., did his best to make it into one. In 1990, when Dole signed on to the tax increase with which President George H.W. Bush broke his 1988 pledge, "Read my lips: No new taxes," Gingrich had begun his sweaty climb up the House leadership. In that capacity, Gingrich participated in the deficit-summit meetings and gave every impression that he would loyally support the tax increase (which proved instrumental in gradually lowering the deficit, finally eliminated during Bill Clinton's presidency, only to be resurrected almost immediately once George W. Bush became president). In the end, though, Gingrich double-crossed Dole, Bush père, and the other Republican leaders by marching out of the White House and declaring his opposition to the tax hike. In doing so, he helped throw the 1992 election to Democrat Bill Clinton. The Washington Post's Bob Woodward lovingly recites the details here. That was more than 20 years ago. But la vengeance est un plat qui se mange froid, and few politicians know how to relish a cold serving of payback better than Dole. His naughtiness has always been one of his more appealing qualities (see Rick Hertzberg's classic TNR piece from 1988, "My Wicked Passion For Bob Dole," reprinted as "Dole's Charm" in Hertzberg's Politics: Observations & Arguments). This time out Dole can justify knee-capping Gingrich as his duty as a loyal Republican, because Gingrich truly would be a catastrophically bad nominee for the GOP to choose. The Republican establishment isn't wrong about that. These graybeards (plus the occasional blond mane), I suspect, hate Gingrich more than any Democrat does, because if you're a Democrat you probably never had the opportunity to be double-crossed by Gingrich. "Hardly anyone who served with Newt in Congress has endorsed him," Dole writes in a new letter, "and that fact speaks for itself." Yikes. 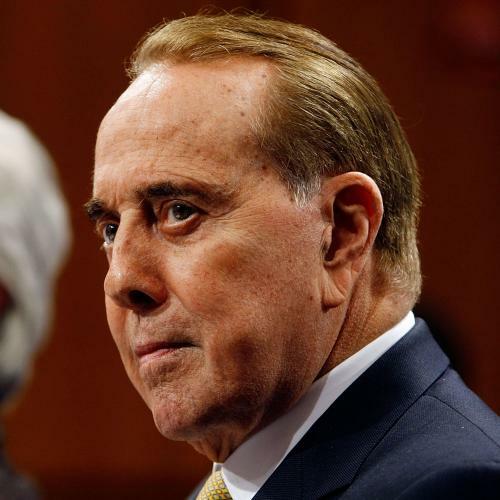 "His mounting ethics problems caused him to resign in early 1999," Dole recalls. "I know whereof I speak as I helped establish a line of credit of $150,000 to help Newt pay off the fine for his ethics violations." Follow the money! Is Gingrich an intellectual? He "had a new idea every minute and most of them were off the wall." Former congressional leaders simply don't talk like this about other former congressional leaders, especially ones from their own party. Is Gingrich an effective vote-getter? "In my run for the presidency in 1996 the Democrats greeted me with a number of negative TV ads and in every one of them Newt was in the ad. He was very unpopular and I am not only certain that this did not help me, but that it also cost House seats that year." Nominating Gingrich will create "an Obama landslide." Oh, Bob. We miss you so.